Settle into Midtown’s community. Find the best schools for your children and the spiritual homes for you and your family. Henry W. Grady High School is home to 4 small learning communities: Biomedical Science and Engineering, Business and Entrepreneurship, Communication and Journalism and Public Policy and Justice. Learn more about Grady's most recent accomplishments. 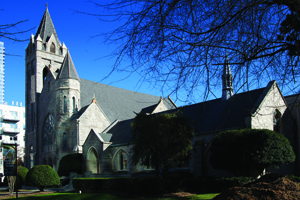 Private school choices include The Children's School, now in its 42nd year of educating children from 3-year-old preschool through 8th grade. In Midtown, you have a wealth of options for your child. Learn more about the school and spiritual choices in Midtown Atlanta using the map below.